Janusz Korczak was the pen name of writer, physician, and teacher Henryk Goldszmidt (or Goldsmit). In 1934 and 1936, he visited Palestine and was influenced by the kibbutz movement. He established and was director of a Jewish orphanage in Warsaw that was moved into the ghetto by the Nazis. In 1942, he voluntarily followed the children and staff who were rounded up and sent to the gas chambers at Treblinka. Janusz Korczak is currently considered a "single author." If one or more works are by a distinct, homonymous authors, go ahead and split the author. 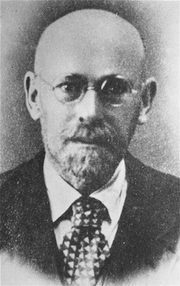 Janusz Korczak is composed of 16 names. You can examine and separate out names.